Have you ever felt like bringing your reusable bags to the store didn’t have a significant impact? Then check this out! So awesome! 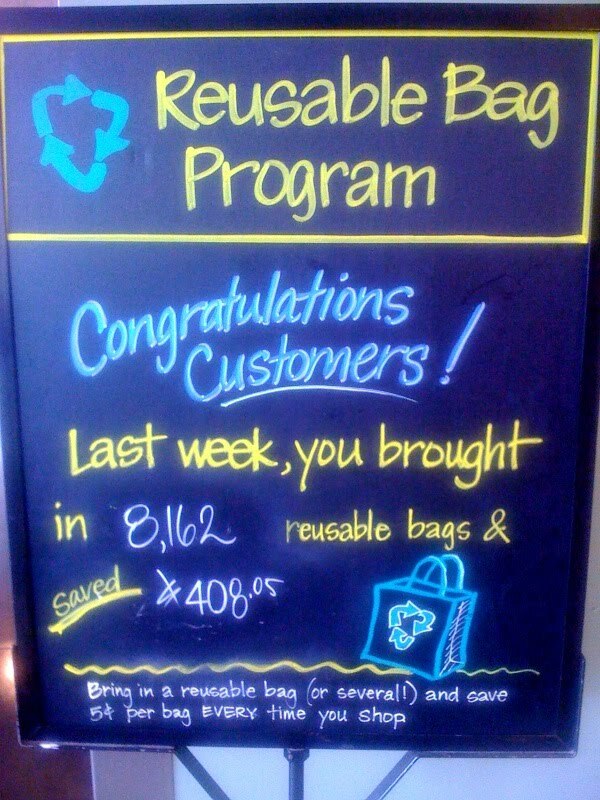 This sign was recently seen at Whole Foods Market in West Hartford, CT and we love it because it makes you realize that it’s not just you and your 4 little bags, it’s us and the thousands of plastic bags we’ve saved from living on in our dumps! Kudos to Whole Foods and if you’re a retailer, think about keeping a similar count posted for your customers to see. Everybody needs a pat on the back once in awhile! This is great! We re-posted this on our blog, too. Thanks for sharing.